-“Bird in Hands” collaborative book. I will send out the prospectus early November. Pages due in March/April. Books due May/June. A summer exhibit. 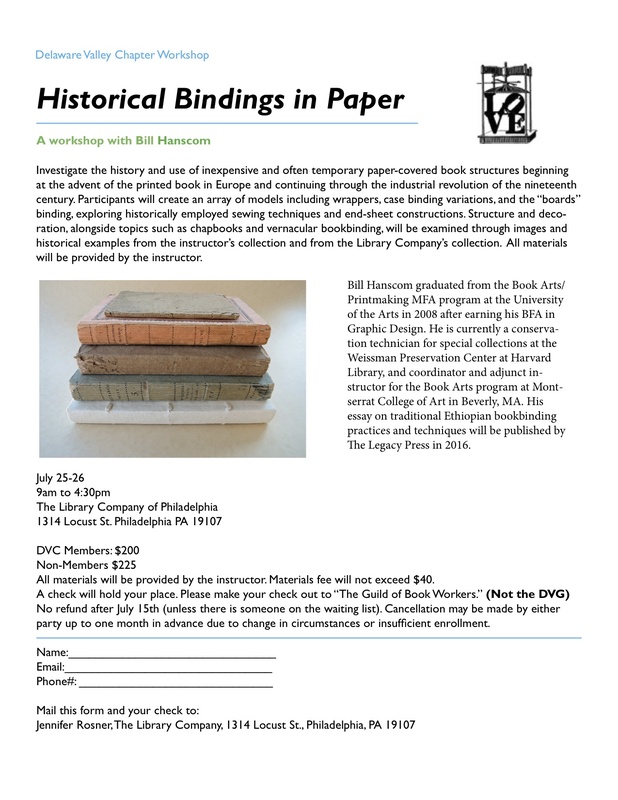 -Criss Cross Binding Workshop with Denise Carbone – January 14, 2017. Signups will begin in early November. -Valentine Exchange – yes, we are going to do this again – it was so much fun! I will send out info very early January. -Introduction to Endbands with Tara O’Brien. February 18, 2017. Flyer in November. -Pierced Vellum Workshop with James Reid-Cunningham. 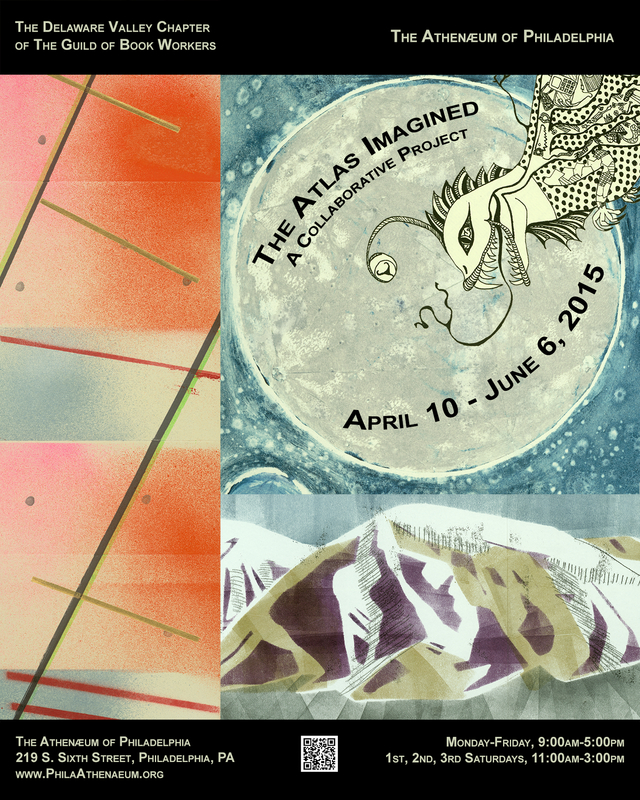 March 11-12. 2017. What did Queen Elizabeth I, her spymaster Sir Walsingham, Marie Antoinette, and Russian WWII soldiers all have in common? They were letterlockers. They, and many others throughout history, folded and secured their letters without the use of an envelope. It’s part of a 10,000-year information security tradition, ranging from Mesopotamian clay bullae to Bitcoins. Come spend some time with Jana Dambrogio to learn how they did it. 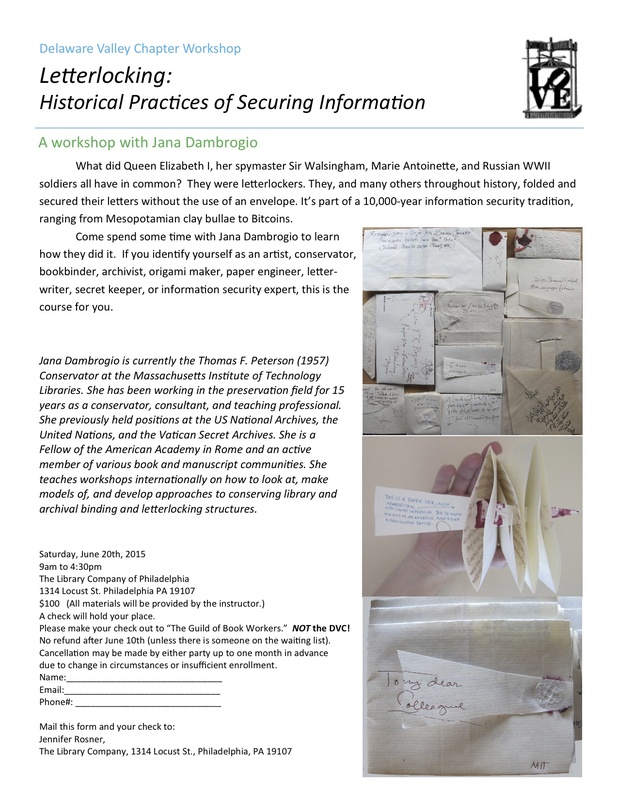 If you identify yourself as an artist, conservator, bookbinder, archivist, origami maker, paper engineer, letter- writer, secret keeper, or information security expert, this is the course for you. Jana Dambrogio is currently the Thomas F. Peterson (1957) Conservator at the Massachusetts Institute of Technology Libraries. She has been working in the preservation field for 15 years as a conservator, consultant, and teaching professional. She previously held positions at the US National Archives, the United Nations, and the Vatican Secret Archives. She is a Fellow of the American Academy in Rome and an active member of various book and manuscript communities. 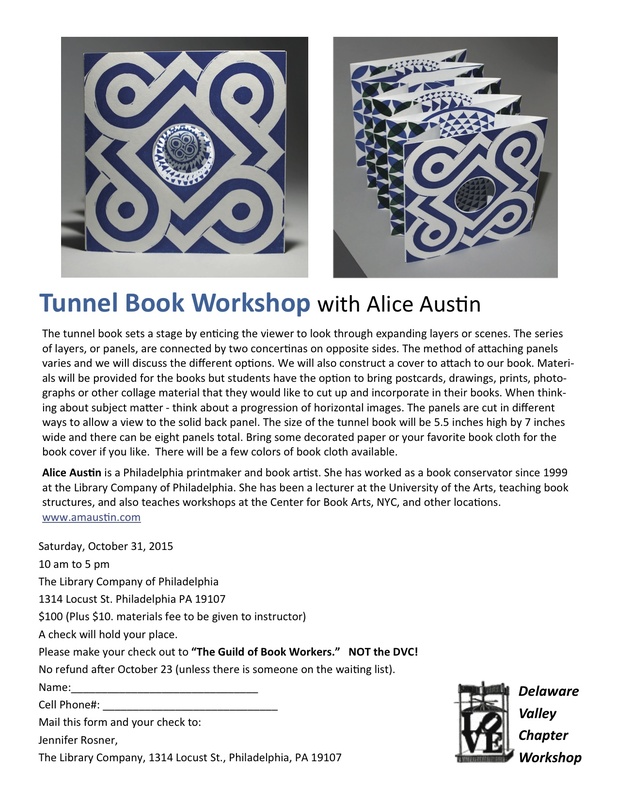 She teaches workshops internationally on how to look at, make models of, and develop approaches to conserving library and archival binding and letterlocking structures. 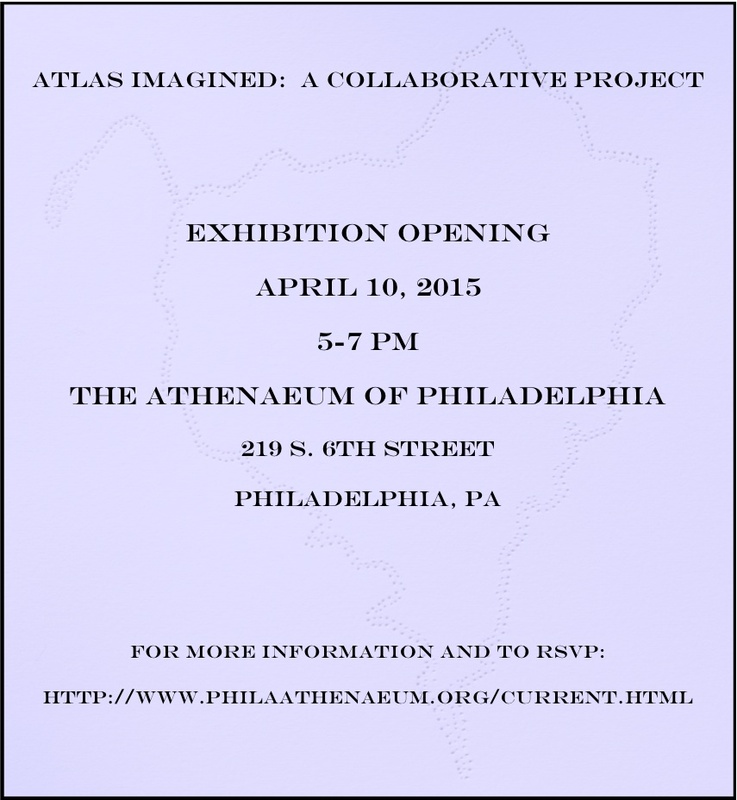 The Atlas Imagined Opening the Friday!